Lyncroft was built in 1935 for the Hamilton family and designed by Roy Burnham Grounds during his association with Geoffrey Mewton from 1933 –37. Their work during this period took two main paths, one following the European Internationals and the other following the Bay Region or Shanty Style of West Coast American architect William Wurster. Lyncroft is a fine rural example of the American influence, and is one of a number of similar designs in this period by Mewton and Grounds and other architects that can be grouped together as having a common or idiomatic design approach. The site is high on a ridge and surrounded by windbreaks of mature pine and cypress. The homestead is set in a simple rectangular garden defined by concrete block walls on two sides, and by terracing on the south east which allows fine views to Westernport Bay. The simple rectangular internal spaces are arranged in linear wings with informal combinations of gable and skillion roofs which relate to the functions within. The wings are arranged across the hilltop to take advantage of the aspect and environment. The planning also creates a variety of outdoor rooms which are further defined with terraces and verandahs or pergolas, and which address use at different times of day. Lyncroft uses a limited palette of plain “as found” materials and finishes – concrete block made on site, weathered vertical boarding, corrugated iron roofing, bush pole verandah supports, and simple builders detailing. Ornament is reduced to a minimum. Within the generally modern design, Grounds saw no contradiction in adopting traditional forms such as gabled roofs and traditional elements such as French doors where they would work best. Similarly some of the openings in the masonry have segmental arched heads, and the corridor in one of the wings is subtly vaulted. Multi-paned windows with a Georgian flavour are used, but the windows are functionally arranged to frame valued views, create privacy and provide lighting and cross ventilation. Each of the main entries is given a unique personality through Mewton & Grounds signature stripe and zigzag patterning on the doors. Lyncroft is of architectural significance to the State of Victoria. 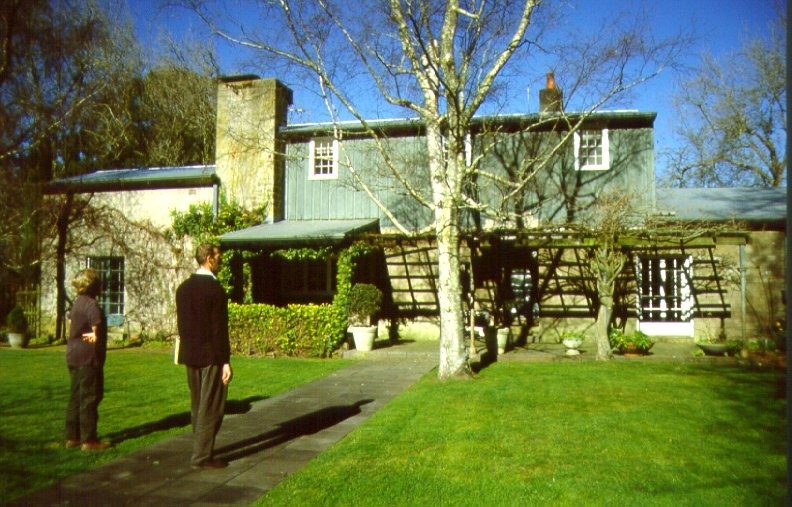 Lyncroft is of architectural significance as a fine and unaltered example of a design approach in early modern architecture that was explored by a number of architects in Victoria and Australia in the early 1930s. Mewton and Grounds were the most prolific designers in this style in Victoria, with examples in both suburban and rural contexts. This work displays clearly the influence of the contemporary West Coast American designs of William Wurster. Lyncroft demonstrates this influence in its functional planning, picturesque massing, specific response to environment and client lifestyle, and use of simple materials and finishes. Lyncroft demonstrates that modernism In Victoria was not a monolithic expression of the International Style. Grounds' use of forms and detailing as expressed at Lyncroft later became widespread in housing in bush areas on the fringes of Melbourne, and his design approach was continued in the postwar period in the work of architects such as Alistair Knox. 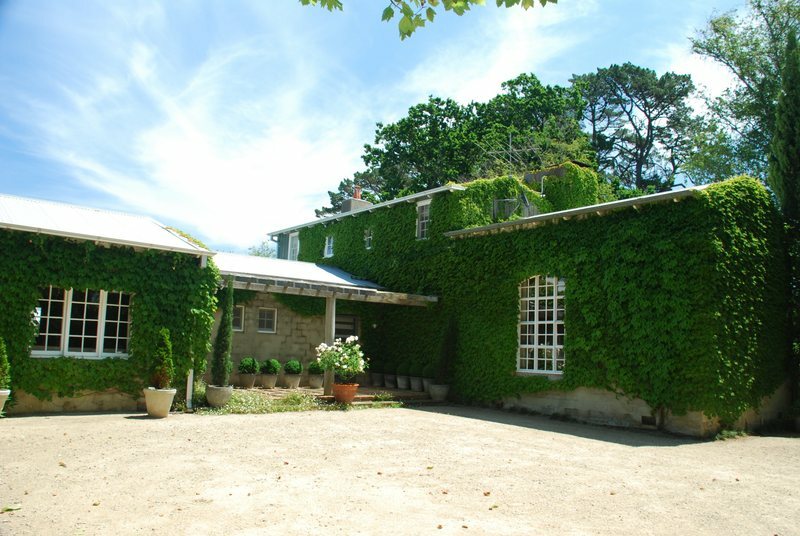 Lyncroft is of architectural significance as a fine example of a particular direction in the early work of Roy Burnham Grounds, one of Victoria's most famous and influential architects. The type of work which Lyncroft represents stands in strong contrast to his later designs which were often larger in scale and were dominated by a preoccupation with geometry and structure. 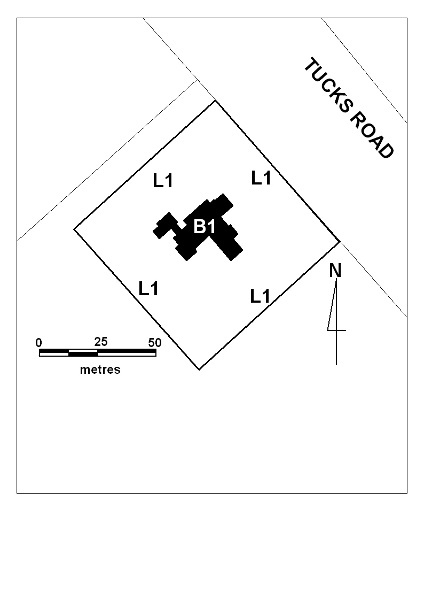 All of the building B1 known as Lyncroft and all of the land L1 as shown in diagram 1909 held by the Executive Director. * Painting of previously painted surfaces. * Removal of extraneous items such as air conditioners, pipework, ducting, wiring, antennae, aerials etc, and making good. * Regular garden maintenance, re-planting, new planting and management (not removal) of trees. * Installation, removal and replacement of garden watering systems. * Repairs and maintenance to hard landscape elements including paved and gravel paths and driveways, garden edging, boundary walls and retaining walls, fences and gates, fountains and pools. * Removal of the sauna. Removal of paint from originally unpainted or oiled joinery, doors, architraves and skirtings. * Painting of previously painted walls and ceilings. * Replacement of carpets and flexible floor coverings. * Installation, removal or replacement of ducted, hydronic or concealed radiant type heating provided that the installation does not damage existing skirtings and architraves. * Installation, removal or replacement in the kitchen of stoves, ovens, refrigerators, dishwashers etc and associated plumbing and wiring. *Replacement in bathrooms and toilets of sanitary fixtures and associated piping,and mirrors. * Installation, removal and replacement of electrical wiring provided that all new wiring is fully concealed. * Installation, removal and replacement of bulk insulation in the roof space. * Installation, removal and replacement of smoke detectors. Lyncroft is in close to original condition, probably because it has continued to be very satisfactory to live in. It is important that the simplicity and restraint of the original concept is not marred by unsuitable additions or by the replacement of original fittings and finishes with more luxurious or ornate material. The appropriatness of the scale of the existing building in its garden setting indicates that additions would have to be carefully considered through the permit process. In the garden, the large oak to the north west, the plane trees following the curve of the driveway and the plane tree to the south should all be retained.